Kara (Agenzia Fides) - "Publicly exposing dissent and divisions, especially in electoral disputes, is a fact that wounds and weakens the Church and leads it away from the evangelizing and missionary activity in Africa", says Father Donald Zagore, of the Society for African Missions (SMA) to Agenzia Fides, recalling that the Church promotes Christian values . 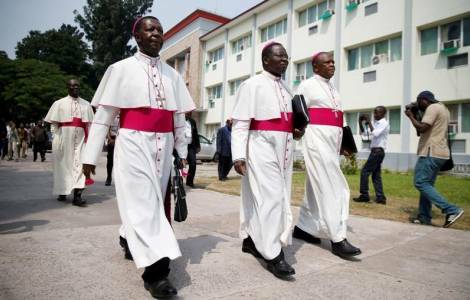 In fact, in various contexts there have been internal controversies among the African Bishops regarding political crises: it happened in the Ivory Coast in 2010 and in Cameroon in October 2018, after the result of the presidential elections. There is a virtuous example, according to Fr. Zagore: "The Episcopal Conference of the Democratic Republic of Congo (Cenco) speaks with one voice. What testimony, in fact, does a divided Church offer a continent constantly subjected to violence and division? It is necessary that the Episcopal Conferences speak with one voice, otherwise the political crises in Africa will destroy not only the civil communities, but also the religious ones".